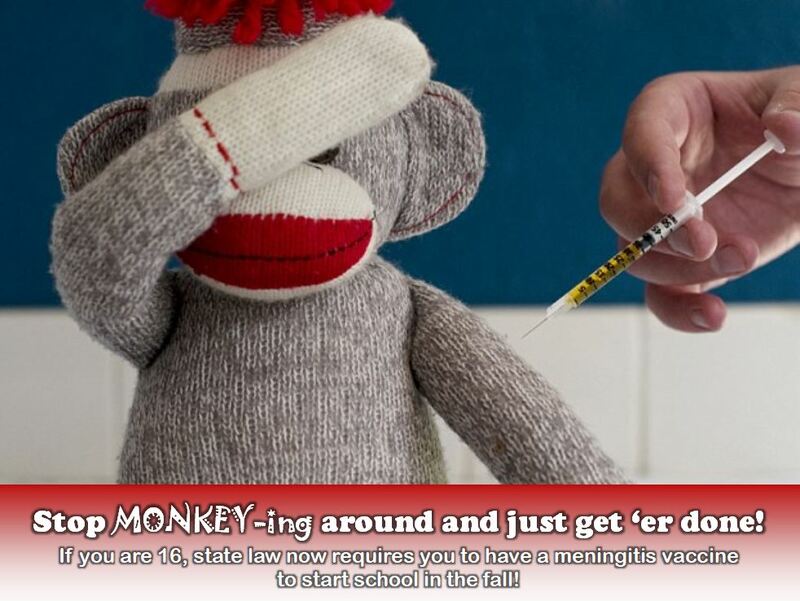 Iowa law requires that all students entering 12th grade be vaccinated for meningitis, a serious life-threatening brain infection. If this requirement is not completed, your student will not be permitted to attend school in August 2019. We are asking that all students complete this requirement by the END OF MARCH to beat the rush and assure that there is no delay in the start of your child’s senior year. Plus – if your student has completed this or gets it done in the month of March, they will be entered in a drawing to win prizes!!! Contact your doctor to make an appointment to receive the meningitis vaccine. Please bring the enclosed immunization record with you to the appointment. Once the indicated vaccination(s) have been received, turn the updated form in to the school nurse. Call if you need help or have questions. If you do not have a doctor, the nurse’s office can assist your student in making an appointment. Don’t Delay – Take care of this TODAY! Thank you so much for your prompt attention to this very important health concern!